Franco Archibugi studied history and philosophy at the Universities of Rome and Heidelberg, and economics at the London School of Economics. He has taught economics at the University of Florence and planning at the University of Calabria, Palermo, and Naples. In the last years he has taught economic programming and strategic planning at the Post-graduate School of Public Administration of Rome. In 1963, along with a group of Italian and foreign colleagues, he founded the Planning Studies Centre, Rome, a non-profit research Institute promoting a unified or integrative approach to planning (of which he is presently Chairman). He has also been a promoter of the “International Academy on Planning Studies” and in 1992 was the General Secretary (under the honorary presidency of the late Jan Tinbergen and Wassily Leontief). 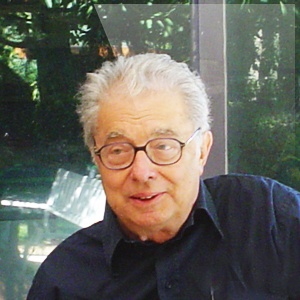 Franco Archibugi is the author of many books and papers on socio-economic, environmental and urban planning published in Italian, English and a few other languages (a survey of these and some selected reproductions are in the appropriate section of this Web page). Social Indicators Research: An International and Interdisciplinary Journal for Quality-of-Life Measurement (Kluwer).